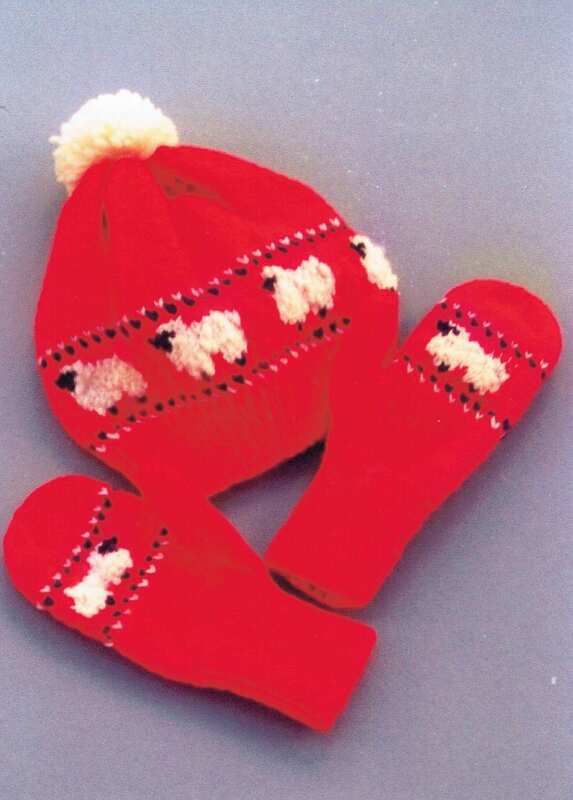 Country's Child #103 Gathering the Flock knitting pattern for 2 needle mittens and hat. Family sizing from child's small [2-4 yrs.] med. [6-8 yrs.] large [10-12 yo], XL [adult med.]. Uses worsted weight yarn and size 4 [3.5 mm] & 8 [5mm] straight knitting needles. Gauge on larger needles 5 sts./inch.